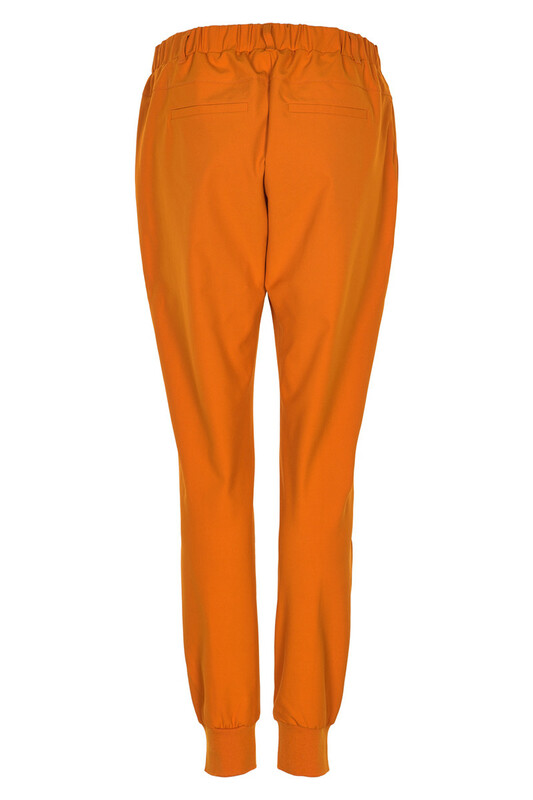 Cute and stylish pants from KAFFE with this casual-sporty kind of look. 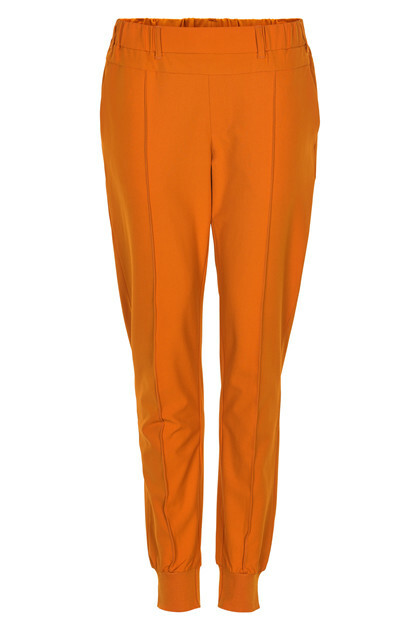 The pants have an elastic waistband, side pockets and jetted pockets on the back. They have a good stretchy quality and belt loops, so you can style your pants with a nice belt. The sporty look is reflected by the ribbing at the legs. The pants also provide many style options. It is possible to style it with a classic heel or, with a pair of sneaks or make it completely casual with a cute sandal.